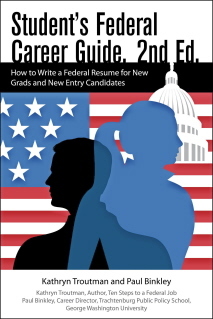 View Cart “Ten Steps to a Federal Job” has been added to your cart. 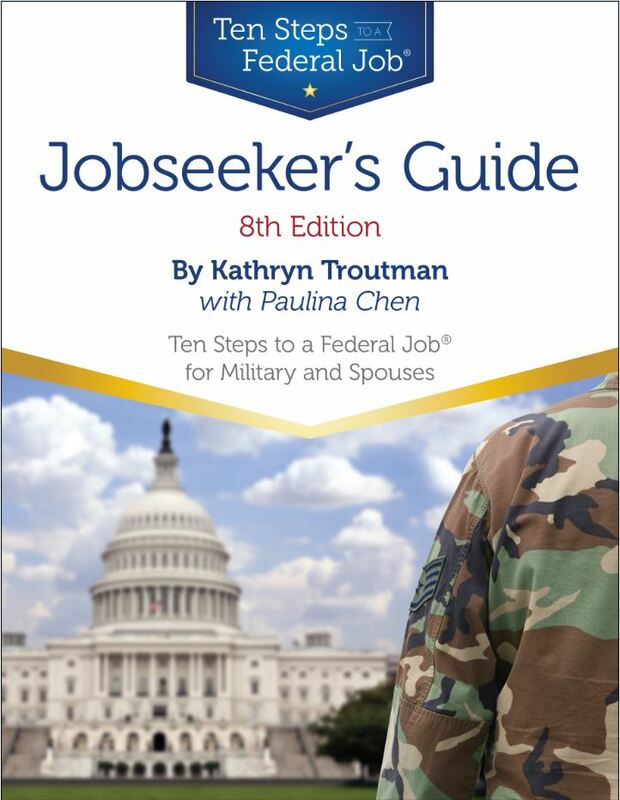 The Jobseekers Guide 8th Edition is used at more than 150 military bases worldwide to teach Kathryn Troutman’s highly acclaimed Ten Steps to a Federal Job to military personnel and family members. This title is recognized as the leading guide on the topic for 100,000 military spouses worldwide. The new edition continues to use a colorful workbook style loaded with pages of exercises, samples, and charts throughout and is particularly effective for class training. SKU: KT42161. Categories: Business, Careers, Economics. Tags: Business, careers, economics, federal jobs, hiring, jobs. Kathryn Troutman lives in Catonsville, MD and is the founder and president of The Resume Place, Inc., a service business located in Baltimore, MD. Resume Place specializing in writing and designing professional federal and private-sector resumes, as well as coaching and education in the federal hiring process. For the past 40 years, Troutman has managed her professional writing and consulting practice, publishing, and federal career training business. With her team of 20 Certified Federal Resume Writers, The Resume Place advises and writes more than 300 federal resumes per month for military, private industry, and federal clients world-wide. Internationally recognized as the Federal Resume Guru by federal jobseekers and federal human resources specialists, Troutman created the format and name for the new federal resume that became an accepted standard after the SF 171 form was eliminated in 1995. She is the pioneering designer of the Federal Resume based on her first book, the Federal Resume Guidebook, which already is in the fourth edition. Browse the 46 lists of high-paying occupations in Your Guide to High-Paying Careers and see which job choices have the best pay, the best outlook, or are the best fit for your personality. Then explore further by digging into a gold mine of facts about each occupation and its specializations.